I’m a big fan of T-shirts. Comfortable to wear under a sweater but also in combination with a jacket or cardigan. I love wearing them because T-shirts are made of jersey fabric and stretch unlike blouses. You must’t think I’ve a lot T-shirts on my shelves. I’ve ten and some are bought and some are homemade. Sadly some of them were worn and faded. Time to replace them. I first looked in my stash to find some fabric and found some beautiful soft light grey jersey. I bought the second fabric in Leiden so I was ready to start maken my two new homemade basic T-shirts. Our eldest and I went to Leiden to visit Hudson Bay. We had heard a few story’s and decided to take a look for our selves. Hudson Bay is situated in an old V&D warehouse and has beautiful resorted. The old V&D warehouse in Haarlem is now also in restoration to become a Hudson Bay store as well. We were curious to see what was coming to us. I know two fabric shops in Leiden and this fabric was bought at Stik ’n Stof. Stik ’n Stof is on the other side of street just opposite Hudson Bay. The fabric for this male T-shirt also came from this shop. They also sell Chat Chocolat fabrics but also Merchant & Mills haberdashery. 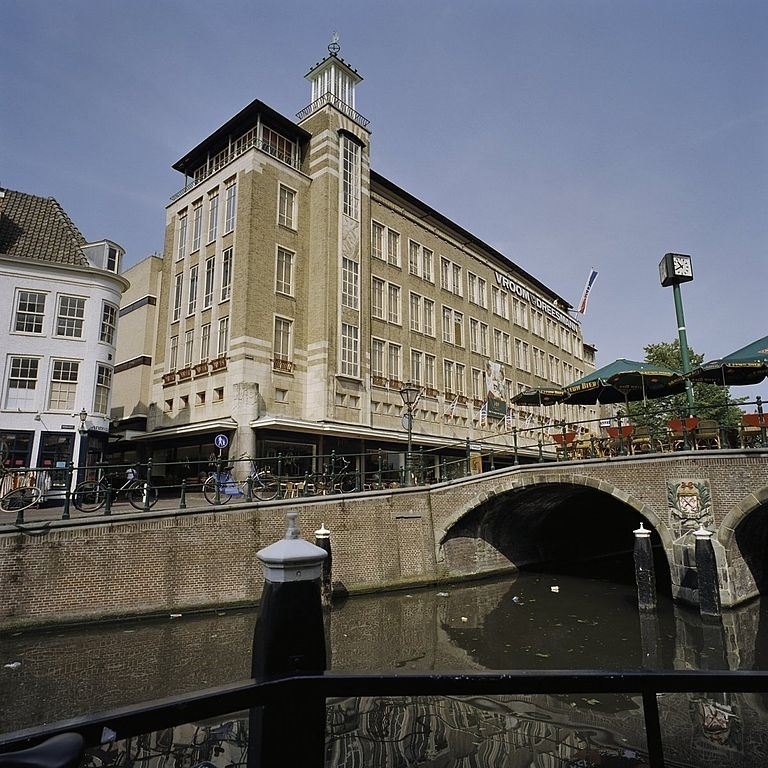 The second shop is Het Holland Stoffenhuis. I doubted between a dark blue Chat Chocolat jersey with stars and a light grey jersey with coloured sparkles. The light grey jersey with coloured sparkles became the winner. You all have been able to read it. I didn’t find the magazine. In this magazine was also my sewing pattern for a basic T-shirt. I could buy a new pattern but I decided to draft one for a basic T-shirt. You always change something on a commercial pattern to get a better fit and drafting a basic T-shirt isn’t so hard to do. After one hour I was satisfied with the drafted pattern. I decided to make the light grey one first so I could see if I had the fit I was looking for. Number 1 had a perfect fit so number wo was cut as well en sewed together. A few our later, some final hand sewing and two new homemade basic T-shirts were finished. If you take a good look at my ‘Designin December’ 2017 party outfit you can see that I’m wearing the light grey T-shirt. I was wearing the second T-shirt under one of my Chanel jacket at an informal business Christmas party. I really like both these t-shirts, classic styling and immaculately made. These will become a wardrobe staple. Thank you so much Sue for your kind comment. Well you know me: it has to be perfect. Thank you so much Caroline. T-shirts are probably the easiest thing to make but I always find the neckline the hardest part.